My debut Novel “Drama University” released in late 2017 is about Melody Thomas, a girl that has some obstacles and handsome distractions she has to conquer. Since she’s the main character of my book, I thought I’d introduce you to her. Here’s an interview I had with Melody back in 2005. Nicole Alicia: So describe your personality for the people who are wanting to know who is Melody T.
Melody T.: Let see that’s a hard one…I’m really just a regular girl from Kansas City, Missouri. I’m really a rather shy and private person, I don’t like confrontation or drama. College has been a total eye opener into what I like about myself and don’t. Also what I want in a guy and don’t want. I’m looking for true love just like every girl here on campus. You know like the kind of love Sanaa and Omar Epps had on “Love and Basketball” or Nia Long and Larenz Tate in “Love Jones”. I like to have fun…ALOT. I’m discovering here just recently maybe a little too much fun isn’t good, ya know? 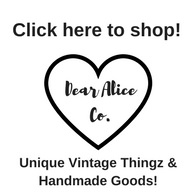 I’m still learning myself…it’s a journey. Melody T.: Neither of us wanted to tell the truth. Trust and honesty is what we should have been relying on and that just wasn’t there…on either of our behalves. We were just two kids so in love we couldn’t even see straight. Nicole Alicia: Do you ever talk to him anymore? Melody T.: I see him at parties sometime. We’re still cordial, but that’s about it. Nicole Alicia: That’s nice though, I’m not sure I could have been nice. I’d probably have straight ignored his existence girl. Melody T.: Yeah, it’s hard we had so much history together…if I could avoid him all together it would be great, but that’s life though. Nicole Alicia: LOL Ok girl, I see. So that leads me to my next question…were you happy when Kianna dropped out? I mean y’all seemed like y’all were best friends even like sisters. That was scandalous what happened between y’all, I feel for you girl! Melody T.: *Sigh* I had so many mixed feeling over what happened ya know? I felt betrayed and I felt happy, but then some how responsible. I don’t know, that one I still haven’t figured out. But that’s a lesson learned ladies don’t let ya man get too close to your girlfriends, LOL! Nicole Alicia: Do you ever think you’ll ever get back with Xavier or is it really truly over? Melody T.: So over! Nah. Once I can’t trust you, I’m done. He crossed so many lines I lost count. I can’t even trust him as a friend now. We’re done. Nicole Alicia: That’s good to hear. So here’s a quirky question…what’s your favorite snack? Everybody has to have their favorite study snacks so what’s yours? Melody T.: Mine…hmm…lemme see I love, love, love Sour Patch Kids and Popcorn. Oooh and also I kill a lot of Rice Crispie Treats their my favorite! Melody T.: *Looks down at her phone* Yeah it’s time for me to run, but good talking to you! 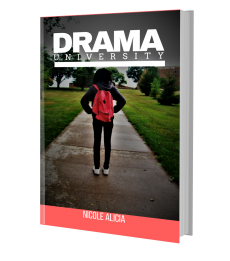 You can get to know more about Melody in the novel, “Drama University” by yours truly Nicole Alicia.